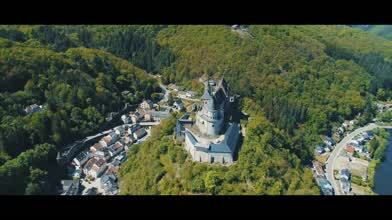 DivaneFilm used a DJI Phantom 4 drone to create this beautiful video of Vianden, a town in the tiny country of Luxembourg. The castle which dominates the town was built beginning in the 11th century. The castle was owned by members of the Dutch royal family until 1977, when it was given to the government of Luxembourg. Located near the country's eastern border with Germany, the Vianden area saw heavy fighting during World War II. Description: I made a small roadtrip with my friend and visited this beautiful place.